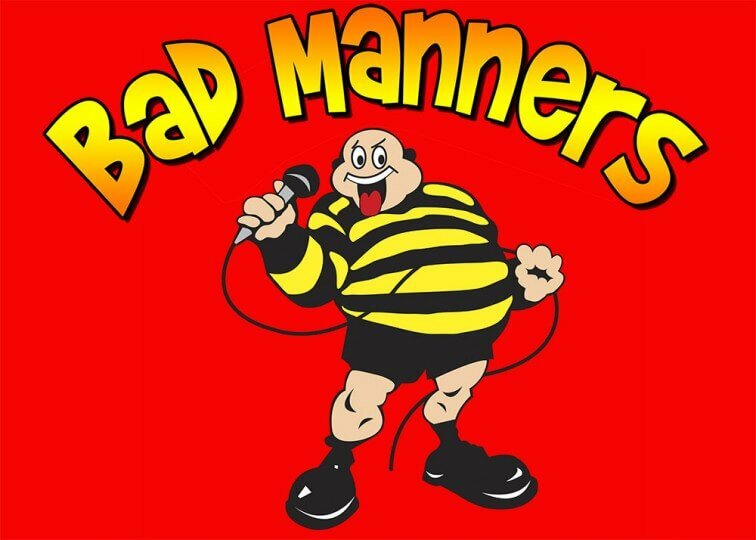 By 1979, the Bad Manners spectacle was created and there was a firm following for the band in North and East London’s venues. Fronted by the enormous and outrageous BUSTER BLOODVESSEL this nine-piece musical mini-orchestra took the scene by storm with a diet of luscious and endearing lunacy that is still kicking today, except today they are recognised and welcomed across continents, oceans and especially Finland. Their early forays into the pubs and clubs created a cult live following that enabled them to be signed by Magnet Records for an ‘undisclosed’ sum of money without even recording a demo tape. They had succeeded in creating a unique blend of SKA, jump blues and boogie known as Ska’N’B which became the name of their first album in 1980. Between 1980 and 1983, they spent 111 weeks in the pop charts and had 15 hit singles. Their time in the charts exceeded that of Little Richard, Fats Domino, The Moody Blues, Culture Club and Frankie Goes to Hollywood. Hits included Ne-Ne-Na-Na-Na-Na-Nu-Nu, Lip Up Fatty, Special Brew, Lorraine, Just a Feeling, Can-Can and Walking in the Sunshine to name but a few. Each was accompanied by outrageous appearances on Top of the Pops that endeared Buster and his chums to the great British public.